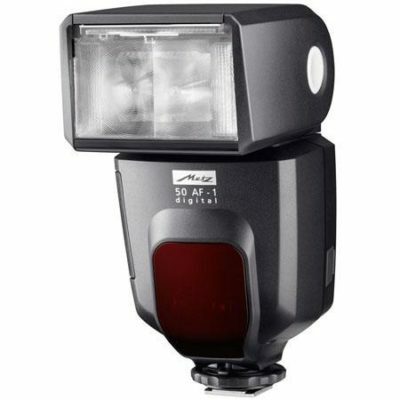 The German flashgun manufacturer Metz has made available a firmware update for Micro Four Thirds variants of the mecablitz 44 AF-1 digital, 48 AF-1 digital, 50 AF-1 digital, 52 AF-1 digital, 58 AF-1 digital and 58 AF-2 digital. According to the company, updated flashes will be able to use slave mode when shooting with the Panasonic DMC-GH3, Olympus PEN E-PL5 and OM-D E-M5 mirrorless cameras. The firm mentions that the new touchscreen-enabled mecablitz 52 AF-1 digital “also features a master function with the Olympus OM-D E-M5” but it is not specified whether or not this capability existed before the update. To install the latest firmware, customers can download the appropriate file for free from the Metz web site and then transfer it to their mecablitz flashgun using the USB port in the side of the device.